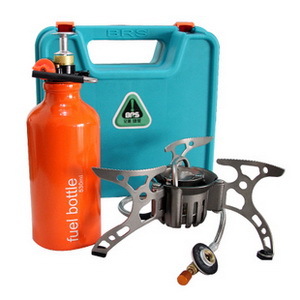 This multi-fuel stove can burn both liquid fuel (white gas, kerosene, gasoline) as well as utilises gas canisters. 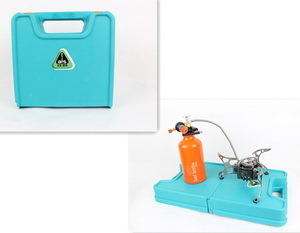 The powerful stove only takes 3 minutes to boil 1L of water in ideal weather conditions. 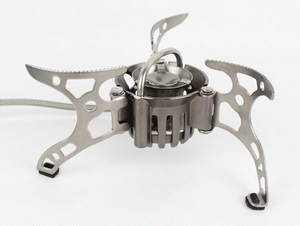 The stove stand with super bearing load capacity can take a vertical pressure of up to 80kg. 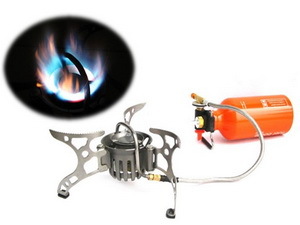 The pre-heating tube is designed to give better pre-heating effect. 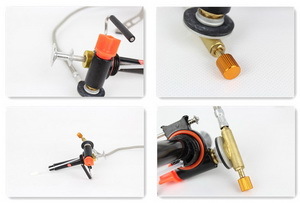 The fuel pump has built-in wear resistant fitting and made from one-time-formed structure of aluminium magnesium alloy instead of traditional plastic, with the advantages of high-strength and long service life. 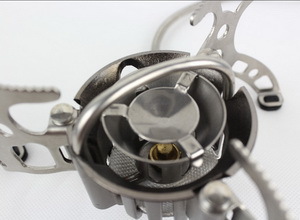 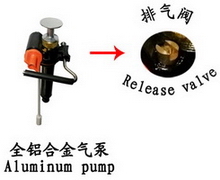 Release valve can solve the problem of being difficult to open when there is high pressure in the fuel bottle. 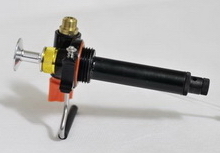 The air nozzle with a special filter ensures a more thorough filtration of fuels and effectively prevent jamming of the air nozzle. 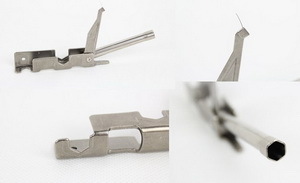 All the seal rings used are made with material with good resilience, and high resistance to wear, aging, oil, and high temperatures, thus ensuring a long service life. 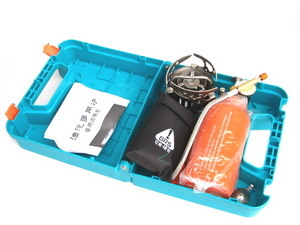 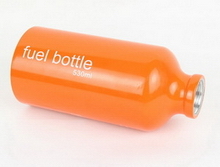 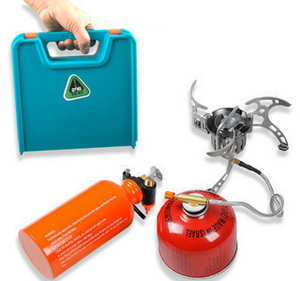 The stove is packed in a suitcase-like package which protect the contents and can be used as a small table.